You are training hard, but you are still unable to achieve the desired results. Many people in the fitness industry follow the wrong path of muscle building without realizing that they are moving on the wrong track. This is the reason why they cannot progress even after performing every exercise properly, which is mentioned in their training routine. 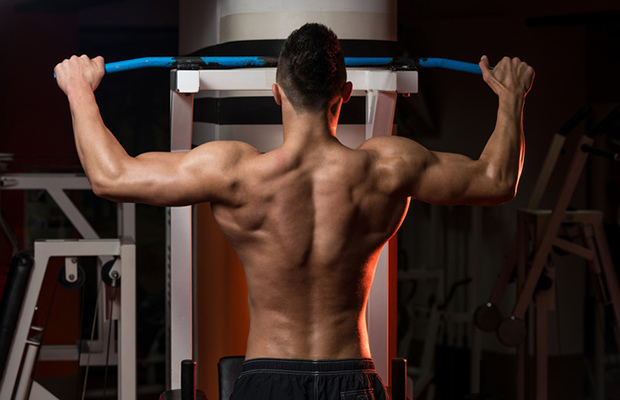 Read the complete article to know whether you are in the same category of those people who make the top three muscle building mistakes. You can avoid this in an easy-going manner by knowing the muscle building mistakes. Beginners in this field think that doing more exercise will bring them better results. According to them it is a wonderful idea to train yourself as much as you can. If this is the case, then by training 12 hours a day you can look like Dorian Yates or Arnold Schwarzenegger within a couple of months. Bodybuilding is different from other sports because by practicing you will not develop any skill, you will develop your muscles. Your muscles need proper time and nutrients to build itself. Bodybuilding is totally different from hockey or basketball in which you will benefit as much as you practice, but in bodybuilding you will not benefit by spending an extra hour at the gymnasium. On the other hand, overtraining will take you in a situation where you will not find any new muscle gains. In spite of training hard for 2 to 3 hours every day, you need to spend only one hour in doing intense training. Give proper time to your body to recover by resting and eating healthy foods. People who don’t want to come out of their comfort zone, don’t train themselves with high intensity exercises. This is another mistake which beginners may be making. Make your gymnasium session brief, yet intense. Train yourself hard by doing drop set technique or forced repetitions. In the beginning you can also opt for circuit training to lose body fat. Indulge yourself in high intensity exercises so that you will benefit more within the same time period. Experts opine to spend at least 45 minutes in training. In case you are not aware about a specific exercise, then you can ask your physical instructor or from fellow gym users. Never perform exercises in an improper way because it may land you in trouble. Many people do not consume anything after finishing their workout. This is the biggest mistake they make because after every workout session your body is in need of healthy calories and protein. In the absence of which your body will use muscles for energy and you will lose your muscle size. People also think that they increase their muscles when they are working out in the gymnasium; this is totally wrong. When you work out, you tear your muscle tissues andwhen you eat and rest, you help them grow. If you want to know about a muscle building supplement, then take suggestion from your physician or from fellow gym users.